Last week there were a lot of new changes announced by everyone’s favourite politician, Kathleen Wynne. The Ontario Fair Housing Policy came across as somewhat of a knee jerk reaction to a couple of landlords using rent increases to evict tenants as they used Liberty Village as a backdrop for the media show. These changes could actually help our market that has absolutely lost it’s mind (more on that later), but why are taxes always the default response of government? The most notable changes from her announcement are the 15% non-resident speculation tax (which the media has conveniently dubbed a “foreign buyer’s tax”) and the removal of the 1991 rent control provision. I cringe every time I read “foreign buyer tax” because that is NOT what this is. I don’t see anything wrong with taxing speculators who don’t live here or plan to live here. One important thing to note is these changes are simply proposed and have not actually taken effect as of today but I don’t see them being strongly opposed and they will likely go into effect retroactively to the date of the announcement. There were 14 other things that they basically said they will look into, so nothing of much substance. One thing they were clear on though was if you plan to use the real estate market to try and turn a quick buck, you will get heavily taxed. My first reaction to this news was “how are my clients going to take this and what can we expect going forward”? I immediately called around to see if these changes had any impact on any of their decisions, nobody seemed to care. After having a few days to think about this and hearing both sides to this I actually think it is a good thing for the market. 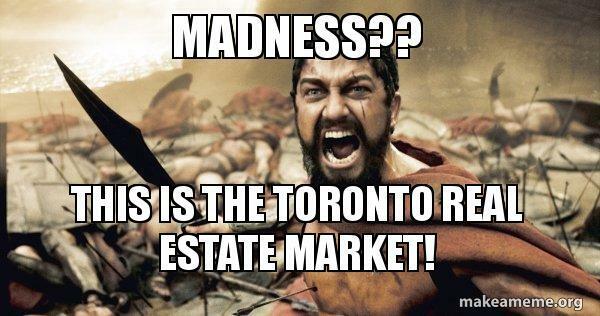 If it means only 5 people are bidding on a condo instead of 8, is that really such a bad thing? The hysteria on the pre-construction side is out of control as you may have seen on some of the pictures I have posted recently on Instagram. Last weekend I attended the launch for Arch Lofts and saw the hysteria first hand. Within 3 minutes of getting in the door around 1/3 of the units had been snatched up at prices that were very high for the surrounding area (over $800/sqft). Within about 30 minutes of being there the sales team came along and increased prices further by an extra 3 or so percent. The developer strategically wouldn’t release prices beforehand so they could pull this tactic, which doesn’t surprise me given how they treated the original purchasers at Union Lofts (the project’s original name. It is very difficult to make an informed decision given these high pressure sales tactics. The current market conditions are not normal and something needs to be done about out. While I don’t necessarily agree with the proposed rent control changes, it isn’t as bad as it may seem. There will still be exceptions for above guideline increases, it just means landlords are going to have to fight their case more and go to the tribunal to get this stuff done, where before they could just do it on a whim. The real issue is they aren’t exactly solving the problem they are trying to fix and will actually constrict supply further, which is only going to make things worse. Landlords are really being unfairly targeted here and the government is trying to get landlords and investors to do their dirty work by providing affordable housing. This will only lead to landlords will be more selective with tenants, some cashing out and investing elsewhere, builders are going to have no desire to build purpose-built rentals when the profits are so small and the investments into pre-construction condos are going to slow down the opposite of what we need. So how has the market reacted to the proposed changes so far? On the night of the announcement I attended the Toronto Life Future of Toronto Real Estate event at the Rothman School of Business. When those who attended were asked by the speaker if the changes would stop them from buying more investment properties (about 20% of the room owned more than 1 property). From those about 10% fewer hands were up indicating that they would likely reconsider after the day’s announcement. After that event one of my clients wanted to submit an offer for a house which had offers that night. There were 5 other offers and we anticipated the value to be between $960,000 to about $1.05M so offered on the low end given the uncertainty. We ended up getting it on the first round at a great price given some of the recent sales. I attended the Arch Lofts launch as indicated above and it sold out within the first few groups of appointments (most in the first hour). Nobody seemed concerned about prices there. I was on offers again last night and a house that we estimated to be between $875k to $950k ended up selling for a $1M with 5 offers. Sadly my buyer’s did not get it, but they set a cap and they stuck to it which is responsible purchasing. Today I received an email that one of the properties I showed in the last few days received a bully offer. Based on this, my opinion is things have cooled slightly, but not by much. The demand is unfortunately way too high to slow this machine down now. The one bonus is supply is increasing as is normal for this time of year so it actually is a great time to buy. There are more, better options out there and prices aren’t going as crazy as they were a month ago. Prices are still holding quite well though and I don’t see a drop off in sight until supply significantly increases. It is going to take a lot more to cool this market unfortunately, but these changes will hopefully level things off slightly to somewhat of a normal level. Next PostIt’s a battle out there!